During the summer of 2018, I had the opportunity to collaborate with Conceptual Abstractionist Mark Basuell for a Pink Progression exhibit at the Center for Visual Art. Mark’s vivid palette, symbolism, and exceptional compositions have inspired me for years. 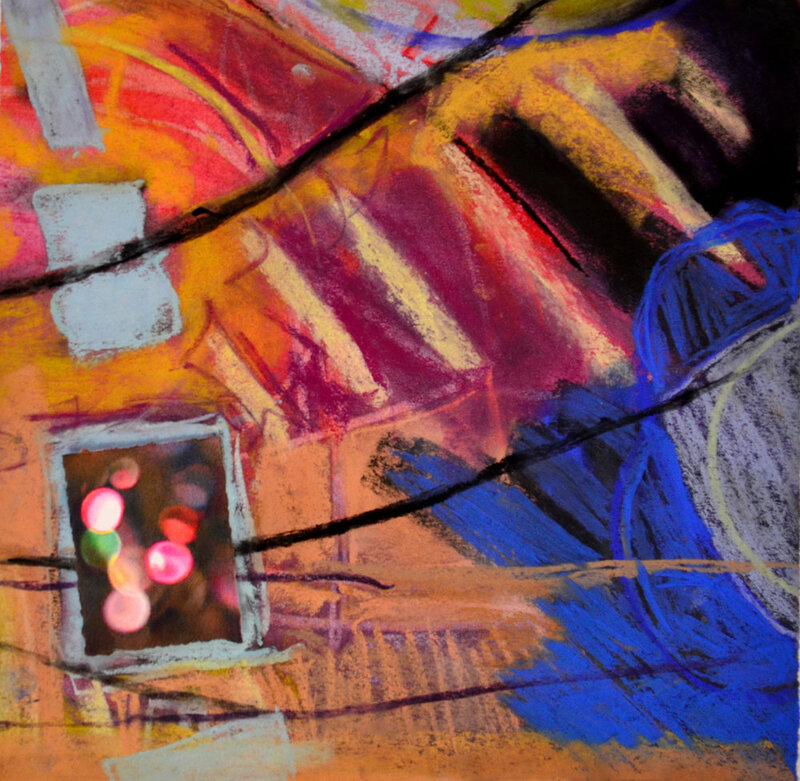 The challenge of combining our marks became more exciting as we dissolved the boundaries between our artistic processes. Mark's expressionism is combined with my colored pencil rendering of circular shapes. This inset image, sewn onto pastel, presents a doorway into a new layer of space.